A very rare harlequin pair of Italian silver gilt mirrors with original foxed glass plate and time worn patina. 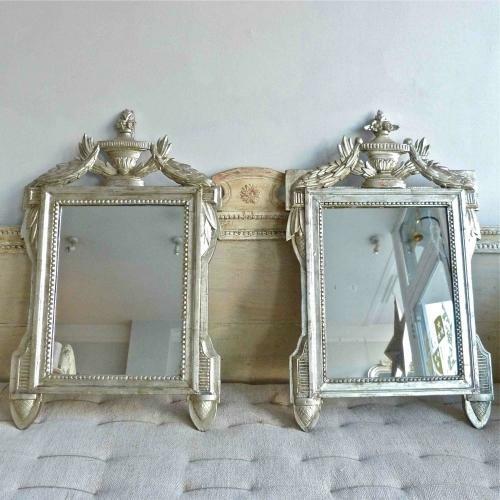 These highly decorative Louis XVI style mirrors would suit a number of situations. Circa 1930.